The pipe organ at Holy Mother of the Rosary Cathedral had a few homes before it was finally installed in the Lancaster, NY cathedral. It was initially built by A.B. Felgemaker of Erie, PA in 1865 for a church in Cleveland, Ohio. In 1904, it was purchased by Bishop Stephan Kaminski and installed in the parish’s original location on Sobieski Street on the east side of Buffalo. In 1965, the organ was completely redesigned, rebuilt, and installed in the Buffalo Cathedral by the Tellers Organ Company of Erie, PA (represented locally by Po-Chedley & Son, Inc). 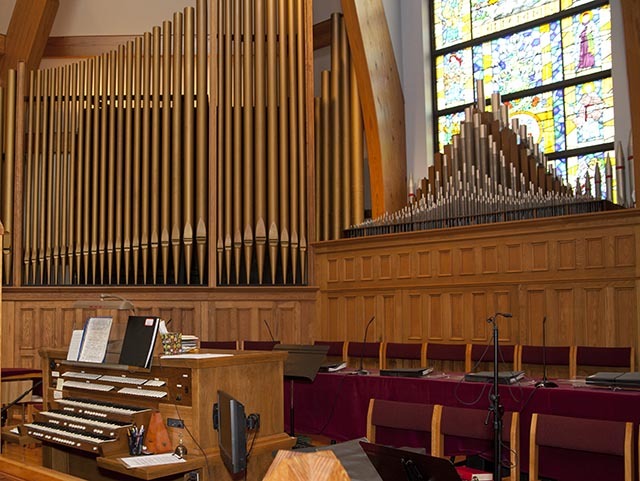 This project involved a complete electro-pneumatic rebuild of the organ using all the parts of the initial organ that could be reconditioned along with additional pipes, tonal effects, stops and a three-manual console. The last mass was said at the Buffalo location in 1993 with plans to reopen in 1995 in Lancaster, NY. 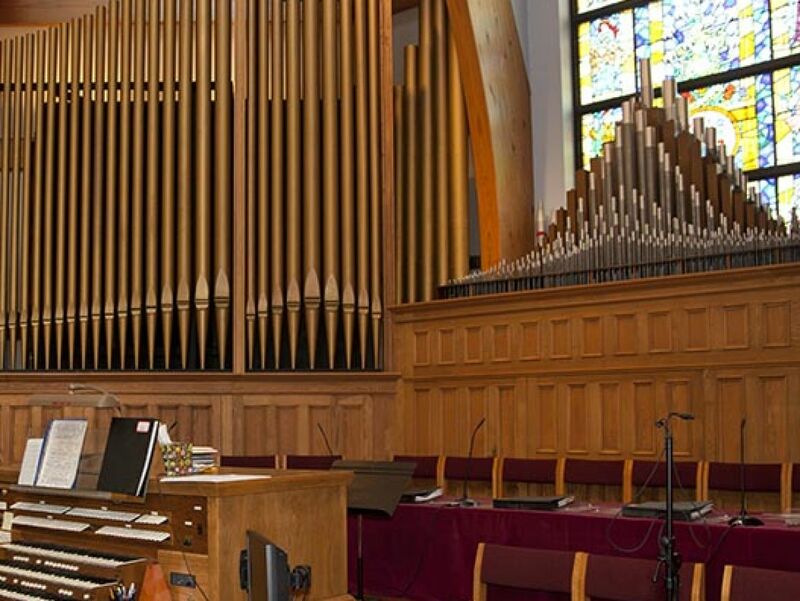 During the move, the pipe organ was redesigned and installed in the new location by Heritage Pipe Organs in 1997. 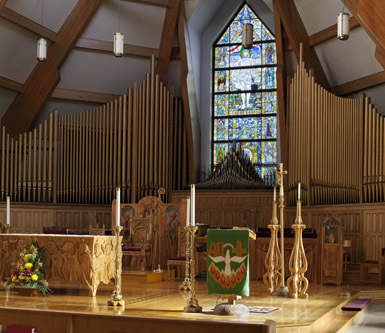 This project involved refurbishing the console with all new Solid-State combination action, switching system and power supply, re-voicing the pipes, and regulating the organ to the acoustics of the new Cathedral. 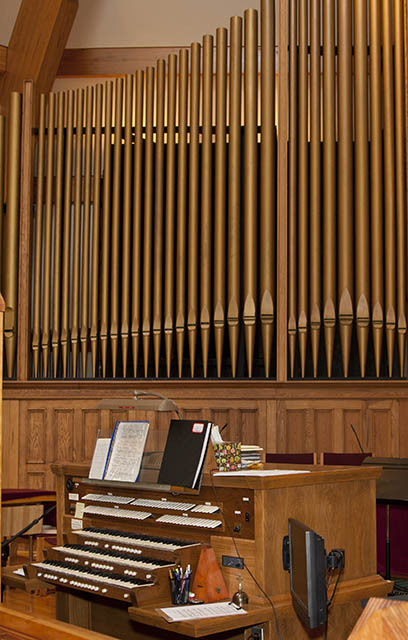 This magnificent organ is played weekly by our Organist and Choir Director Nelson Koeppel.